Today was the first pep rally of the year, which was perfect timing since it was Homecoming! 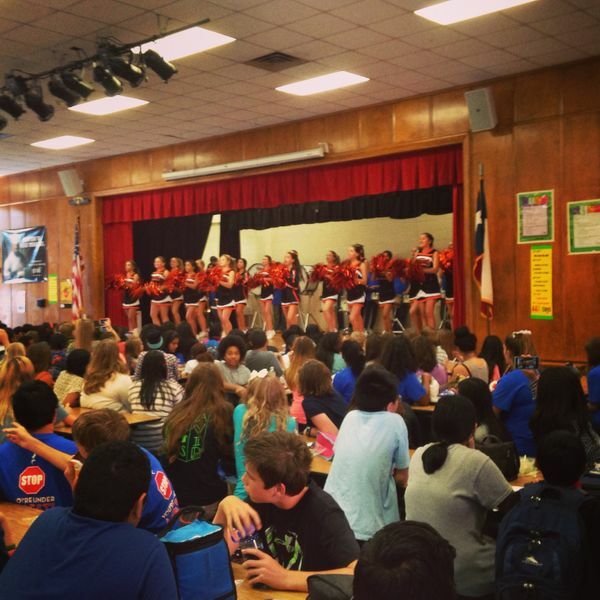 Each lunch was treated to a show by the band, the cheerleaders, and the football team (attempting to dance). The cafeteria was full of students, parents, and teachers, all enjoying the show and cheering loudly. Congratulations to all students involved. Tomorrow there's a special guest performing in the cafeteria during lunch again.... stay tuned!